Trauma Talks 2016 @ Women’s College Hospital! This entry was posted in Professional Development and tagged Community Workshop, Trauma. This entry was posted in Community PD Events and tagged Community Workshop. 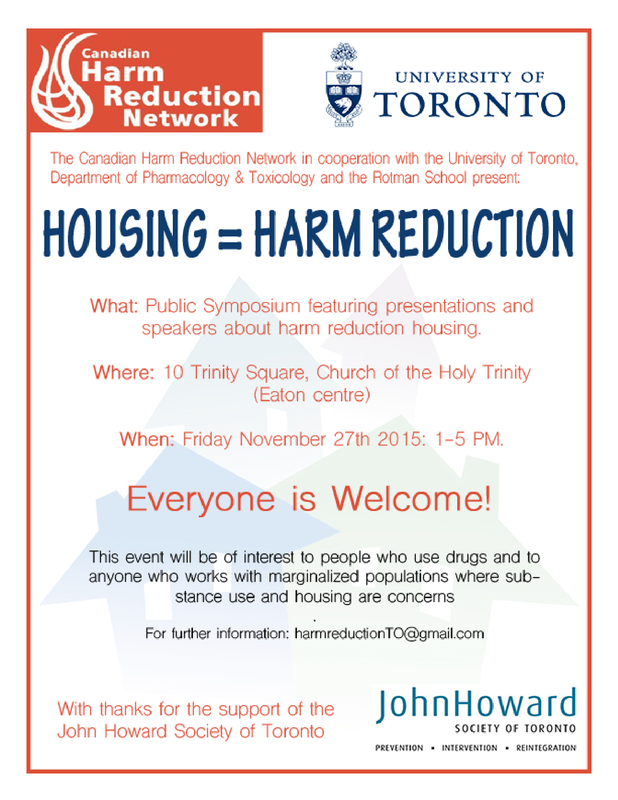 …designed and lead by community partners, with the support of Toronto Public Health facilitators. WHERE: 519 Community Centre Ballroom from 9:30 – 4:30 pm at 519 Church Street in Toronto. Please let us know at registration if you have a need for special accommodation. “Openings” focuses on the intersections of community mental health and substance use and is framed around the ways in which the harm reduction and recovery approaches support one another to enrich service provision. working from a harm reduction framework with folks with acquired brain injuries, ADHD and mood disorders. As well, workshop participants will enjoy drumming with “Rhythmic By Nature”. This entry was posted in Professional Development and tagged Community Workshop, Free Workshop.